Outdoor living means outdoor stuff, and Outdoor Storage Boxes help to keep everything in its place. An outdoor storage bin or attractive deck storage boxes are a stylish way to hide your tools and toys and free up more exterior space for your enjoyment. 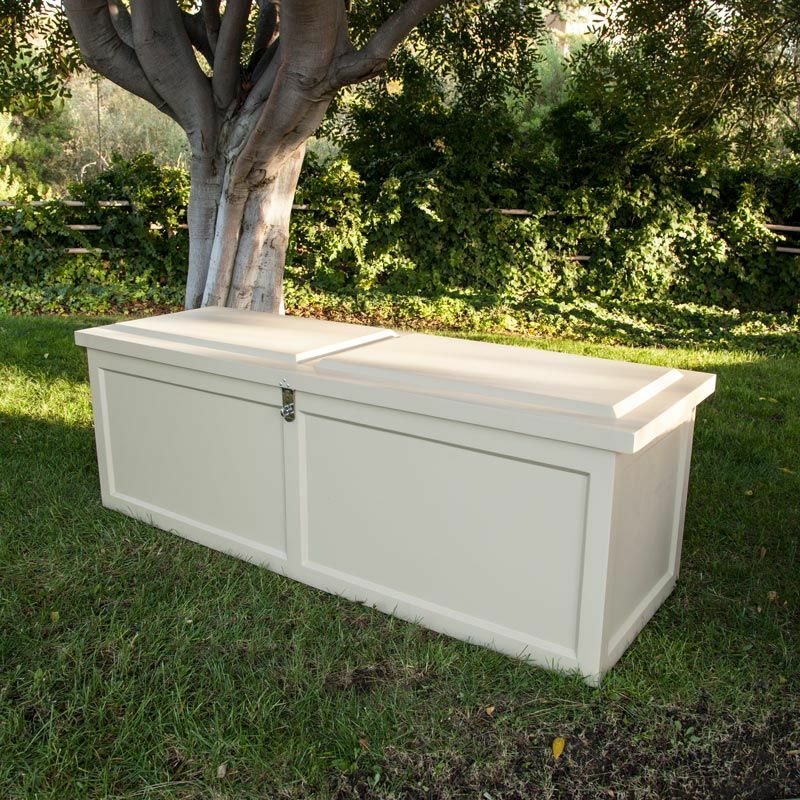 Storage furniture from Planters Unlimited include the alluring Mansfield product line and also various options in fiberglass, composite PVC or naturally lovely redwood. For selections that emphasize hardwearing durability, check out fiberglass options or call for our made-to-order composite options. In exterior projects where warm, natural materials are a focus, our redwood feature is a classic and charming choice. Browse our selection below for more details, including size and style options. These units make for stylish exterior stowing. Choose from our Ashville style available in over 25 colors and real metal finishes, or select from various materials including redwood, Cellular PVC and fiberglass. For exterior organization, outdoor storage containers provide a concealed space for tools, toys, gardening materials and more. Open up space to store patio furniture cushions, beach towels, or even extra outdoor apparel like sun hats, visors and sunglasses. Available online at Planters Unlimited, these containers include Cellular PVC options available for custom order over the phone - just call for a quote. For a more decorative choice, check out the Mansfield collection in black or white. With attractive curvature and an easily removable top, this unit works wonders as a hidden trash receptacle, or as storage for grilling, gardening and exterior maintenance tools like charcoal, birdseed, soil or even salt for the winter months. From natural redwood to impermeable Cellular PVC and Fiberglass, our products come in attractive and heavy-duty materials. For pool decks, patios, docks, front porches, or amongst garden beds, storage containers not only create extra space for stowing exterior tools, they can also provide additional seating. Many are now finding fiberglass and composite materials to be particularly practical due to their resistance to moisture, while others still find classic wood to be most desirable. Whatever your preference, it's all here. For questions on any of the Outdoor Storage Boxes pictured online, or to call for a custom order quote please call toll free at 1-888-320-0626 (M-F, 7am-5pm PST).